On March 10, 2012, James Donmoyer stopped breathing. His parents started to freak out. They pulled over. They called 911. When they got to the hospital, the doctors said they were trying to revive the boy, but it was too late: James had passed away. He was three months old. James suffered from a birth defect called hypoplastic left heart syndrome, and it took his life before he could even walk. But the tragedy could have been avoided. "The problem was that we didn't know this until it was too late," said Ian Donmoyer, his father, in a recent e-mail. "His death could have been prevented." So to honor James's memory—and to raise awareness of congenital heart defects—Donmoyer launched an event called The Art of Fighting. Part art gallery and part fighting game tournament, the show will take place in Albuquerque, New Mexico on September 27-28, and Donmoyer says all proceeds will go to charity: specifically, two organizations called March of Dimes and Save Babies. The goal: not just to raise money for a good cause, but to prevent the same sort of tragedy from happening to other parents. "James's condition could have been detected during ultrasound (it was not), and also by using pulse oxygen testing after birth, which detects how oxygenated the blood is," said Donmoyer. "It is a simple, affordable, and widely available screening method." Donmoyer says that with the proper diagnosis and care, doctors could have saved James before it was too late. "We are supporting these two charities with this event to cover our two goals of awareness (both to parents about the importance of checking their babies' hearts and the medical community about the importance of pulse ox) and action (making pulse ox testing mandatory and preventing newborn deaths, which I can tell you from speaking with others, have an unusual prevalence here in New Mexico)," Donmoyer said. "March of Dimes is taking actions to pass Ryan's Law, legislation that will make pulse oxygen screening for newborns mandatory in New Mexico (it is not currently). Save Babies advocates awareness all over the country for newborn screening and its importance—not just to expecting parents, but to medical staff who could overlook a life-threatening condition, as they did with James." So why fighting games? Donmoyer says there's a close-knit community of fighting games fans in Albuquerque—people who love playing games like Street Fighter and Marvel vs. Capcom—and that they were the one place he found he could go for support, even when his life was at its lowest point. "After my son died, it actually wasn't that long before I started coming out to events again, and I became really close to everyone," Donmoyer said. "My wife at the time also left soon after, so I think I needed that sense of family, since I really didn't have anyone else in New Mexico. So it was that love of... I guess 'big tournament Saturdays,' everyone coming together from all over to get hype, that inspired that part of the event." 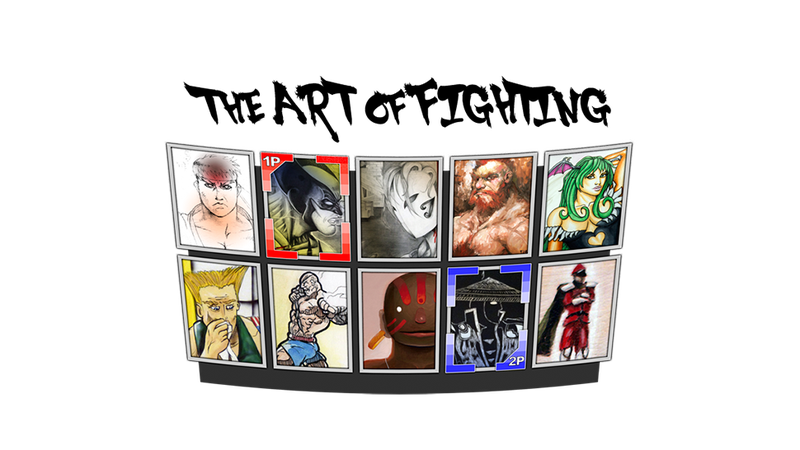 On Friday, September 27, the gallery will be displayed, featuring all sorts of fighting-game-inspired art from artists across the country. Then, on Saturday the 28th, the tournament will start. You can watch a livestream and donate to both charities on September 28.